You wouldn’t usually see my dad’s name associated with the normally girly craft of knitting, and I apologize to any manly knitters reading this if my words offend. I lived overseas for quite a large number of years and upon our return we did a family camp. Whilst the younguns were off swimming in the river, Dad and I went off to find some tree branches that would be suitable for making knitting needles. I had no idea that he was so good at whittling. We had no sandpaper so the whole lot was done with a knife. They could do with a light sand but all in all they turned out rather well I would say. 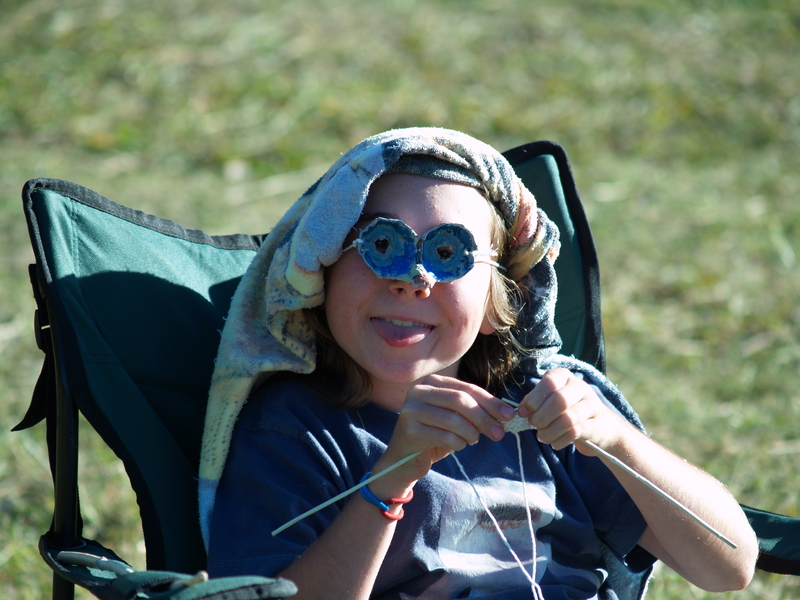 And just to prove that they did get used on the trip, here is a picture of one of the grandsons knitting with cotton yarn using the smallest set of needles. This was a particularly crafty day and the grandchildren all made themselves bird masks with the empty egg carton which you can see Finn wearing in the photo. I’m amazed he could see anything at all through those holes but he assured me that he could see his knitting just fine. Camping is so much fun.